Former vice president Joe Biden was asked Monday about the sexual assault accusations against Supreme Court nominee Judge Brett Kavanaugh. “For a woman to come forward in the glaring light of focus, nationally, you’ve got to start off with the presumption that at least the essence of what she’s talking about is real, whether or not she forgets facts, whether or not it’s been made worse or better over time,” he told reporters. “But nobody fails to understand that this is like jumping into a cauldron,” he added. Palo Alto University Professor Christine Blasey Ford wrote in an initially anonymous letter that Kavanaugh got on top of her and groped her while he was drunk at a party in high school. Kavanaugh has denied the allegations and both are being asked to testify before the Senate Judiciary Committee on Monday. Biden, who was chair of the Senate Judiciary Committee during the confirmation hearings of Supreme Court Justice Clarence Thomas, answered questions comparing the current situation to those hearings where Anita Hill accused Thomas of sexual harassment. "Oh, I thought she was telling the truth at the beginning," Biden said of Hill's accusations. "I really did." 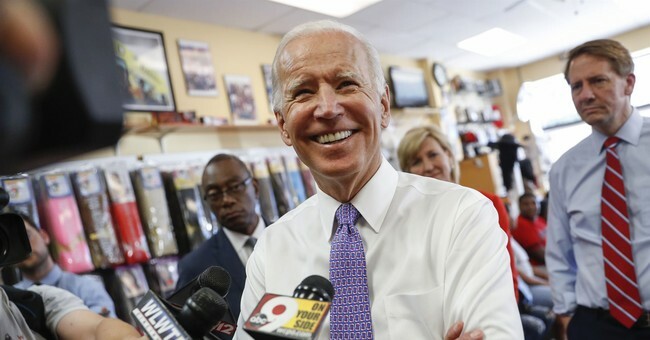 "I believed Anita Hill," Biden told Teen Vogue last year. "And my one regret is that I wasn't able to tone down the attacks on her by some of my Republican friends. I mean, they really went after her. As much as I tried to intervene, I did not have the power to gavel them out of order." "I wish I had been able to do more for Anita Hill," he said at the time. "I owe her an apology."